In the past five years, global battery-only electric vehicle (EV) sales have increased 23-fold, with 37 percent of South East Asian consumers now considering EVs for their next vehicle purchase. To actively support this growing demand for information on EVs, Nissan launched its first education video series to bust myths and bring more awareness around electric vehicles. The four-part video series covers charging, range, driving, and ownership, thereby tackling the most common questions surrounding EVs and myths around them. Leading the discussion, Tim Jarvis, Australian explorer and environmental scientist, and Naya Ehrlich-Adam, founder of sustainable food business Broccoli Revolution in Bangkok, team up to discuss questions about EVs based on their personal experiences and preferences. Kicking off the series is the topic of charging. In a 2018 Frost and Sullivan survey commissioned by Nissan, an average of 59 percent of South East Asian respondents listed charging options (the ability to charge at work, a charging point at home and the option to fast charge) as a motivating factor for purchasing an EV. Charging convenience was identified as the second most important factor for purchasing an EV after safety standards. While there is significant potential demand for EVs, a lack of knowledge on available charging options stands as a major barrier for many. 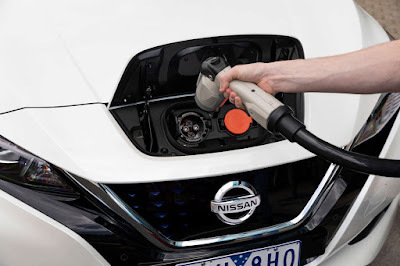 In the first video on EV charging, Nissan shares data and tips on how EV owners can charge their vehicles, using the three main charging options for the Nissan Leaf as an example: standard outlet charging, wall box charging, and quick charging. Similar to plugging a smartphone to charge, 80-90 percent of Nissan Leaf owners choose to charge their cars at home with the universal cable that comes with their car, mostly overnight. It takes just 40 to 60 minutes to replenish battery levels to 80 percent via quick charging stations, often located in convenient areas such as shopping malls. To view the first chapter of Nissan’s education video series on electric vehicles, demystifying the topic of charging, visit here.